Pebble Beach wasn’t the most famous golf course on the Monterey Peninsula? Neville and Grant needed a mulligan on the most famous finishing hole in golf? 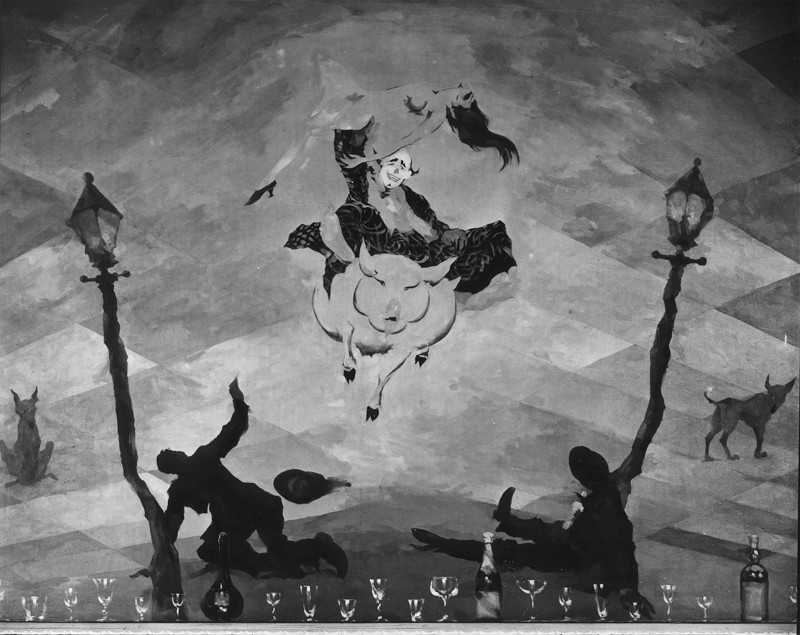 The 14th green was the work of a man more famous for his artwork? 27. 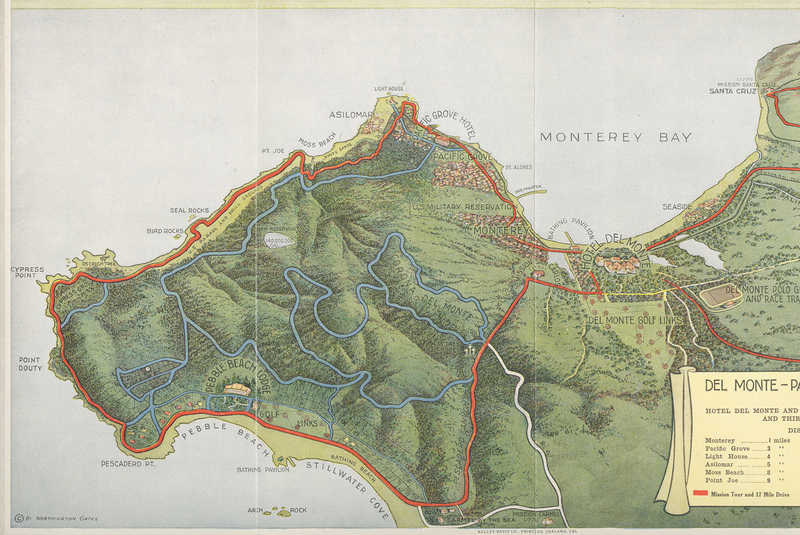 THE ORIGINAL PLANS FOR THE DEVELOPMENT OF PEBBLE BEACH DID NOT INCLUDE A GOLF COURSE: Resort Founder Samuel F.B. Morse was charged with selling the holdings of the Pacific Improvement Company, which included the land where Pebble Beach Golf Links is located. His first idea was to divide the land into residential lots. 28. A REVISED PLAN FOR PEBBLE BEACH INCLUDED A NINE-HOLE GOLF COURSE — THAT WASN’T ON THE OCEAN. 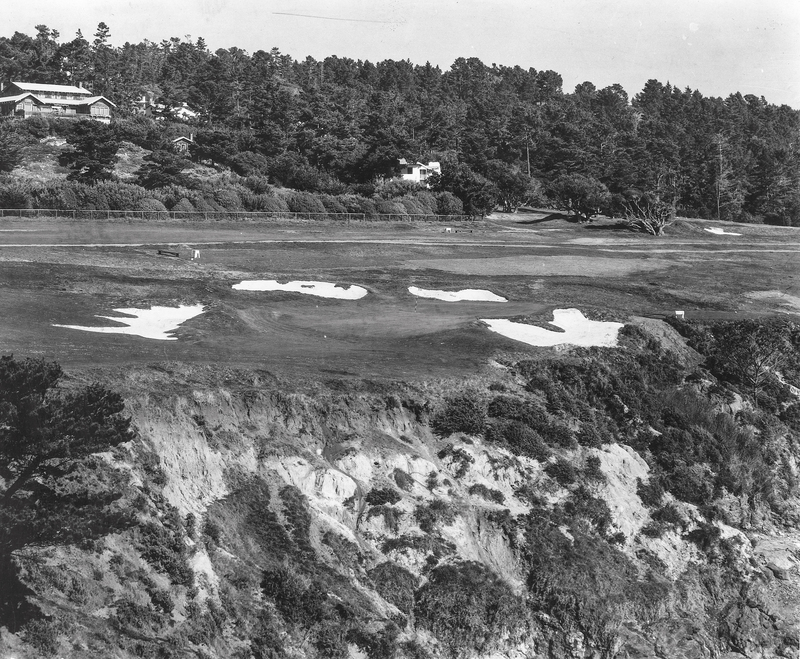 You can see the short course would have been designed where the current first, second and 15th holes are today, on the inland side of where 17-Mile Drive had been located. Construction began with nine temporary sand/oil greens, but it was never finished. 29. MORSE REVERSED COURSE AND DECIDED TO BUILD AN 18-HOLE GOLF COURSE — AFTER HE COULD ONLY SELL ONE OCEANFRONT LOT. Could you imagine if the land at the tip of Arrowhead Point were available today? 30. THE ONE PIECE OF LAND MORSE DID MANAGE TO SELL IS WHERE THE CURRENT FIFTH HOLE IS LOCATED. That is why for the first 80 years of Pebble Beach’s existence, the ocean stretch from Nos. 4-10 was broken up by the inland, uphill par-3 fifth. The land was finally reacquired in 1995, and a new cliffside fifth hole designed by Jack Nicklaus opened in 1998. 32. NEVILLE AND GRANT COMBINED TO WIN SIX CALIFORNIA STATE AMATEURS. Neville even managed to win two on the course he built — Pebble Beach — after the championship moved there in 1920. 33. WHEN PEBBLE BEACH OPENED, IT WAS KNOWN AS ‘DEL MONTE’S SECOND COURSE.’ The original Del Monte, which was hailed as one of the best courses on the West Coast, opened in 1897 in Monterey. When the U.S. 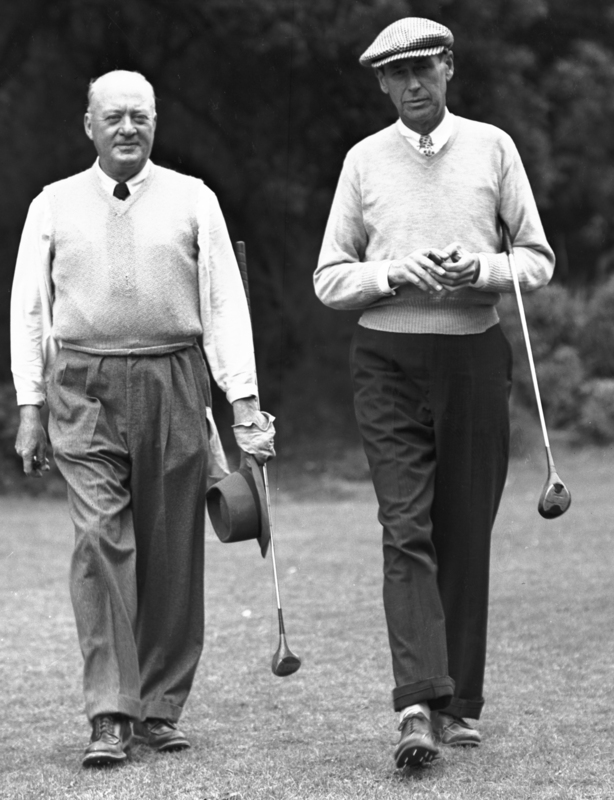 Amateur came to Pebble Beach in 1929, USGA records referred to the host site as Del Monte Golf and Country Club. 34. 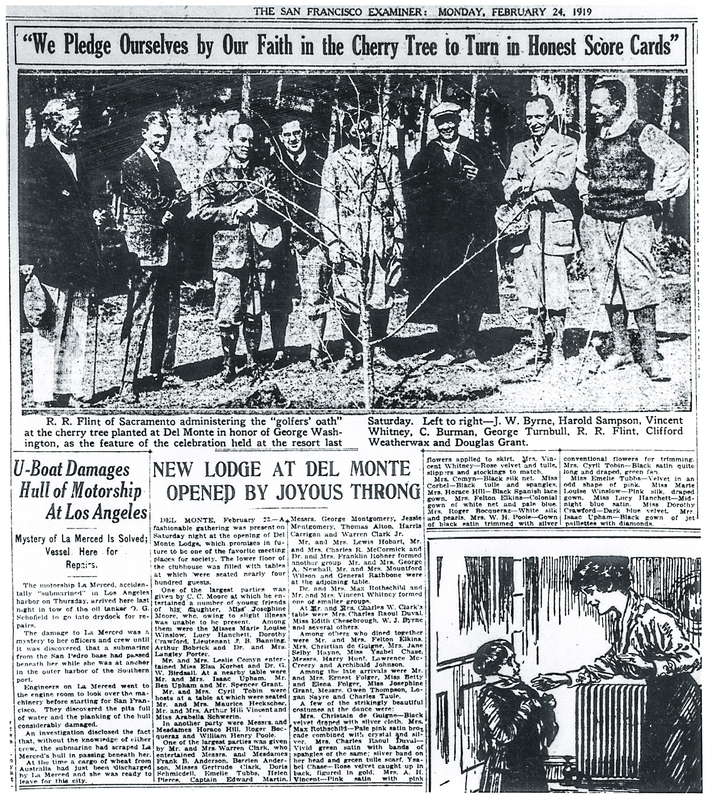 WHEN PEBBLE BEACH GOLF LINKS DEBUTED ON FEB. 22, 1919, THE OPENING OF THE LODGE RECEIVED MORE PRESS. The luxurious Lodge — still located on the same spectacular site today — had been rebuilt after a fire destroyed it in 1917. The San Francisco Examiner spent most of its story identifying who attended the party that night and detailing what they were wearing. 35. 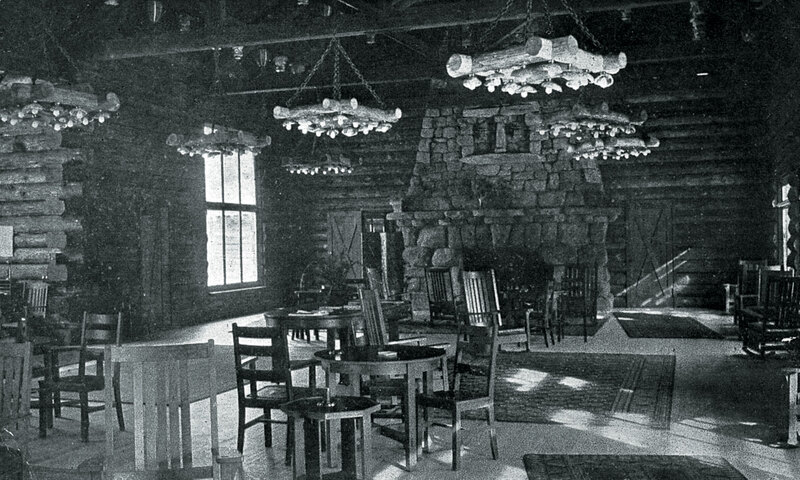 THIS IS WHAT THE OLD LOG-CABIN LODGE LOOKED LIKE BEFORE IT WAS REBUILT. 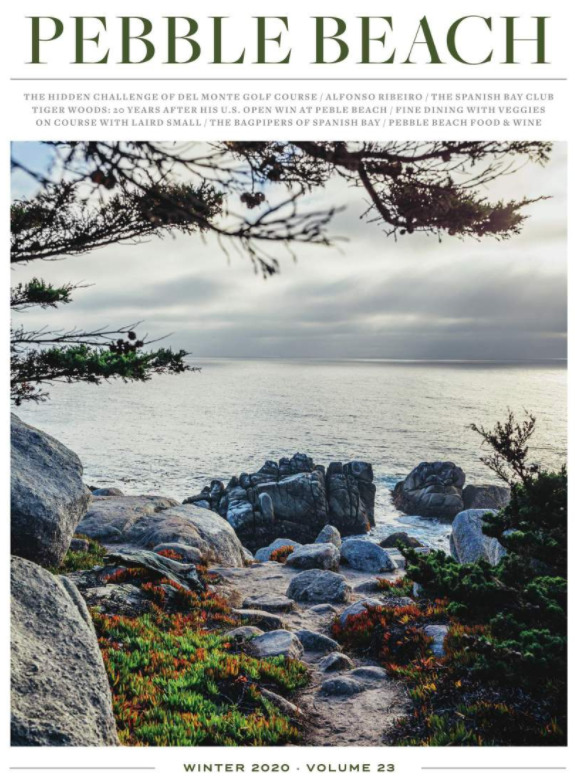 There weren’t any accommodations, but it served up a highly regarded Abalone Chowder to visitors during their day-long excursion around 17-Mile Drive from 1909-1917. 36. 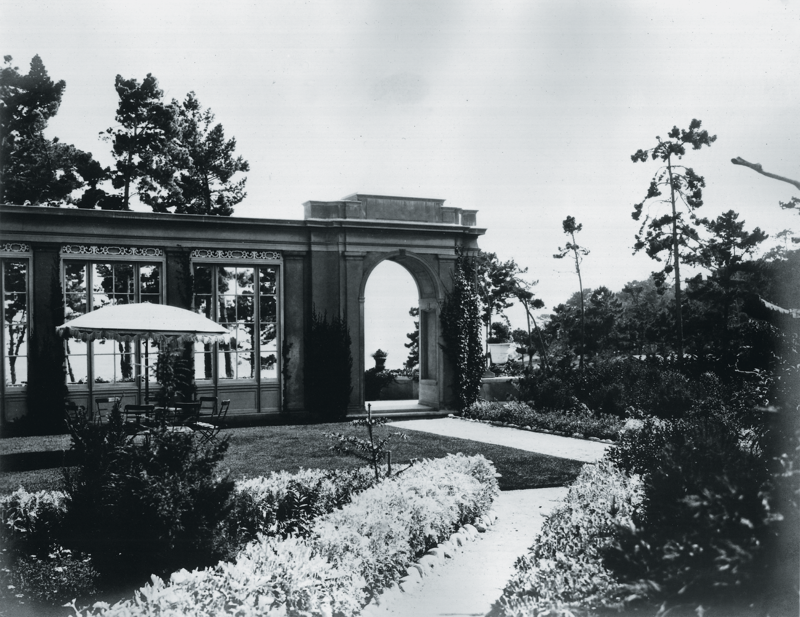 WHEN THE LODGE OPENED IN 1919, IT FEATURED AN OPEN PATIO. This garden setting was located on the west end of The Lodge, near the current Library and Card Room. You’ll also notice the ocean view was obstructed by many Monterey Pines. 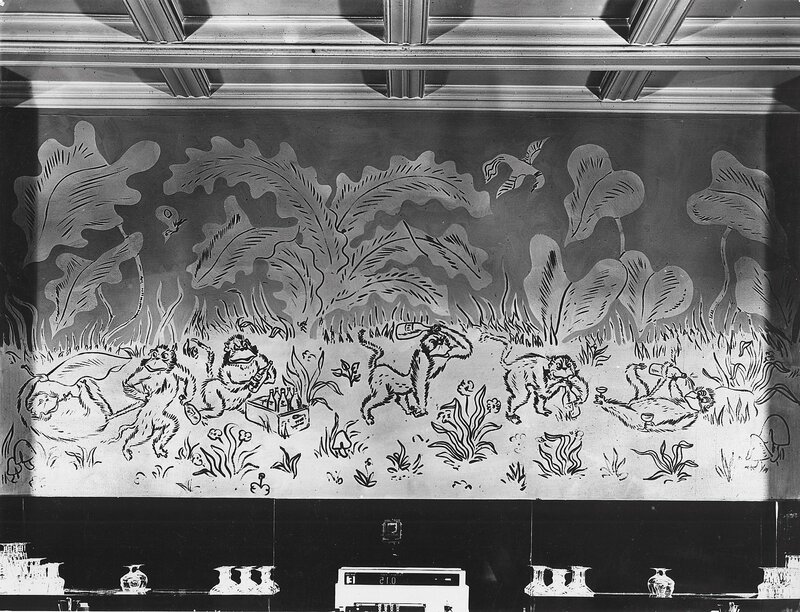 The Tap Room opened in 1949, choosing a more conservative theme that showcased the history of western golf. 38. THE COURSE RECORD AT PEBBLE BEACH AFTER THE OPENING TOURNAMENT WAS A 7-OVER 80. Golf was pretty hard 100 years ago. Co-Designer Douglas Grant used his local knowledge to shoot the low score on the par-73, 6,020-yard layout. 40. THE 10TH HOLE OPENED AS A 495-YARD PAR-5. Think Carmel Beach’s answer to No. 18. The hole dog-legged over the dog sanctuary that is Carmel Beach. It became a 400-yard par-4 by 1921. The 10th hole will once again play 495 yards at this year’s U.S. Open — only it will remain a par-4. 41. SPEAKING OF NO. 18, IT ACTUALLY OPENED AS A 320-YARD PAR-4. In fact, it was initially panned as a boring finish to such a potentially thrilling round of golf. 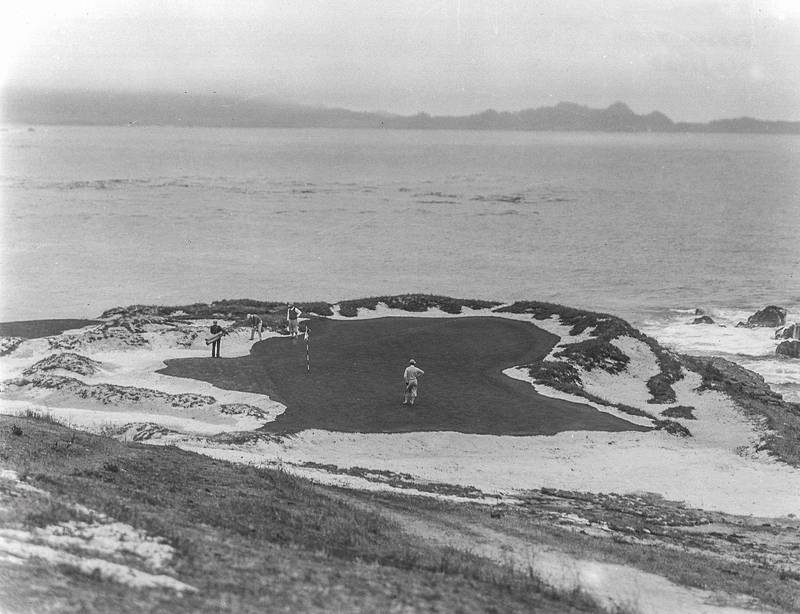 Shortly after creating most of Del Monte’s modern-day routing, English architect Herbert Fowler consulted at Pebble Beach, recommending a par-5 finishing hole, which was built before the 1922 State Am. 43. 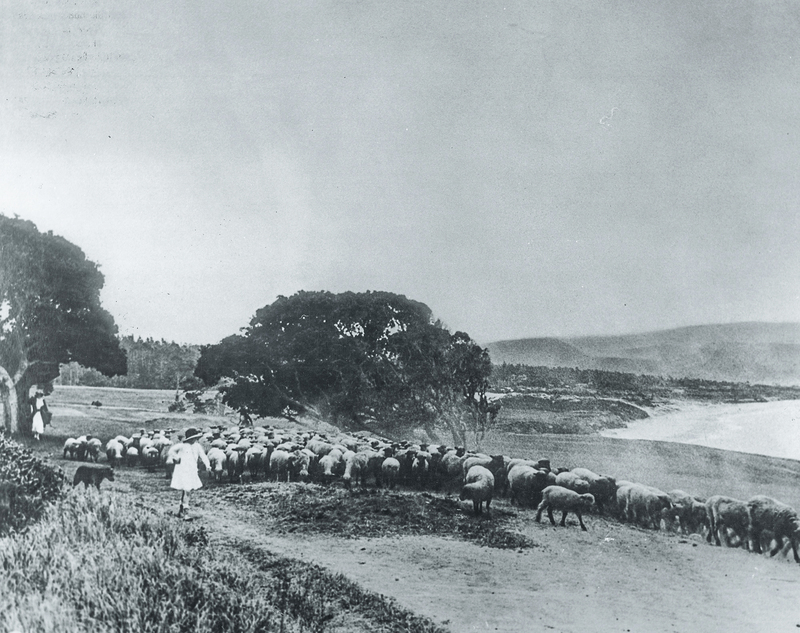 THE FIRST GREENSKEEPERS AT PEBBLE BEACH WERE SHEEP. In an effort to cut costs, sheep were early grass-cutters at Pebble Beach, as this photo from the 14th tee box shows. While their labor was cheap, their hoof prints were much worse than spike marks on greens. As a result, mutton and lamb chops soon became featured items on the menu at the newly opened Del Monte Lodge. 44. IN PREPARATION FOR THE 1929 U.S. AMATEUR, CHANDLER EGAN CREATED EYE-CATCHING DUNES BUNKERING AROUND MANY OF THE GREENS. The fetching features ultimately were too difficult to maintain long-term. But Egan sure was creative. He even tried to plant a tee box on the rocks behind the current 18th tee, before winter storms promptly washed it away. 45. BEFORE HIS WORK ON PEBBLE BEACH, CHANDLER EGAN WON AN OLYMPIC GOLD MEDAL IN GOLF. In the last golf competition before golf disappeared from the Olympics for more than a century, Egan captured gold in the 1904 team event, and won silver in the individual tournament. Just a week before the Olympics, Egan won the U.S. Amateur. 46. THE 14TH GREEN WAS DESIGNED BY AN ARTIST. The unique spiraling green fronted by a gaping bunker is the work of Francis McComas, a celebrated artist featured at the International Exhibition of Modern Art in New York. McComas also helped Fowler renovate Del Monte in 1920. 47. 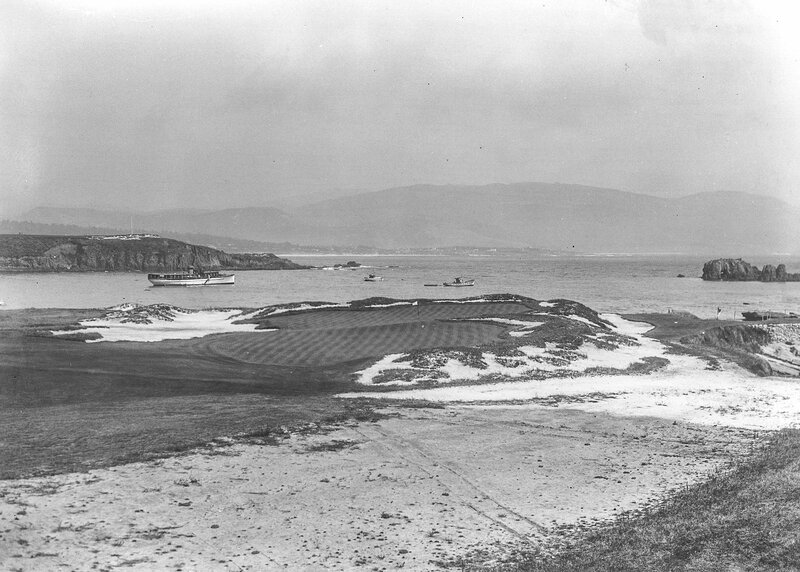 ALISTER MACKENZIE CONSULTED ON THE EIGHTH AND 13TH GREENS BEFORE DESIGNING CYPRESS POINT CLUB. The early design for the eighth hole featured a giant green and one primary bunker behind it. Alister MacKenzie added his patented bunkering to the hole in 1926. 48. 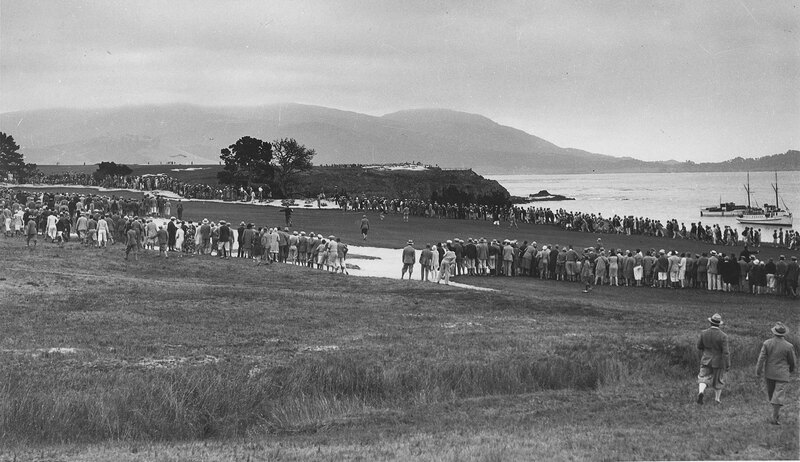 THE FIRST MAJOR CHAMPIONSHIP PEBBLE BEACH HOSTED WAS IN 1929. Pebble Beach didn’t host a U.S. Open until 1972. But back in 1929, the four Major Championships in golf were considered to be the U.S. Open, U.S. Amateur, British Open and British Amateur. So it was a massive honor when Pebble Beach was awarded the U.S. Amateur in 1929. 49. PEBBLE BEACH WAS THE FIRST COURSE WEST OF THE MISSISSIPPI TO HOST THE U.S. AMATEUR. The buildup for the championship was historic. Heavy favorite Bobby Jones was pursuing a record third straight U.S. Amateur, a feat the entire sports world was anticipating. Jones shockingly lost in the first round of match play, a year before winning the Grand Slam. 50. THE GUY WHO BEAT BOBBY JONES WAS NO SLOUCH. Johnny Goodman was just 19 when he played spoiler and beat the legendary Bobby Jones. Goodman promptly turned around and lost the next round to Lawson Little (an eventual World Golf Hall of Famer and the father of Hall of Fame pitcher Tom Seaver). But Goodman lives on in golf’s record books as the last amateur to win the U.S. Open, when he did so in 1933.